Father Raphael Sourd (back left) and Glenmary founder Father William Howard Bishop (back right) pose with some children on a trip to Rome. Father Sourd was one of the first Glenmarians and Father Bishop’s right-hand man. Glenmary’s Father Raphael Sourd visited Father Les’ parish one Sunday on a mission appeal. After Mass, Father Les approached Father Sourd and told him he was considering becoming a priest. Father Les said he knew that Africa, where the Precious Blood served, was the greatest need for priests and a Catholic presence. 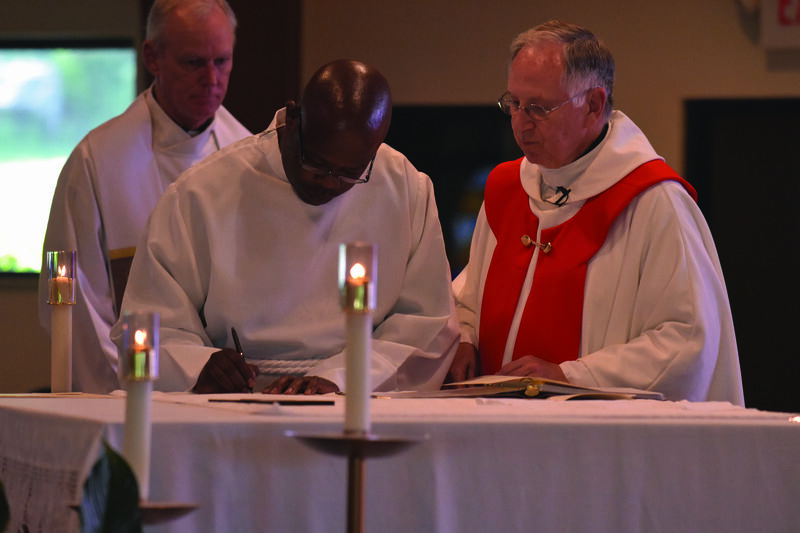 For the first time, Father Les felt confident about his future as a priest. Working in Appalachia felt like home. 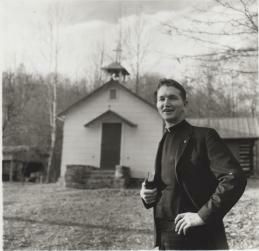 Father Les Schmidt working as an associate pastor in 1964 in Gate City, Va. He also served as a substitute pastor in Appalachia, Va. 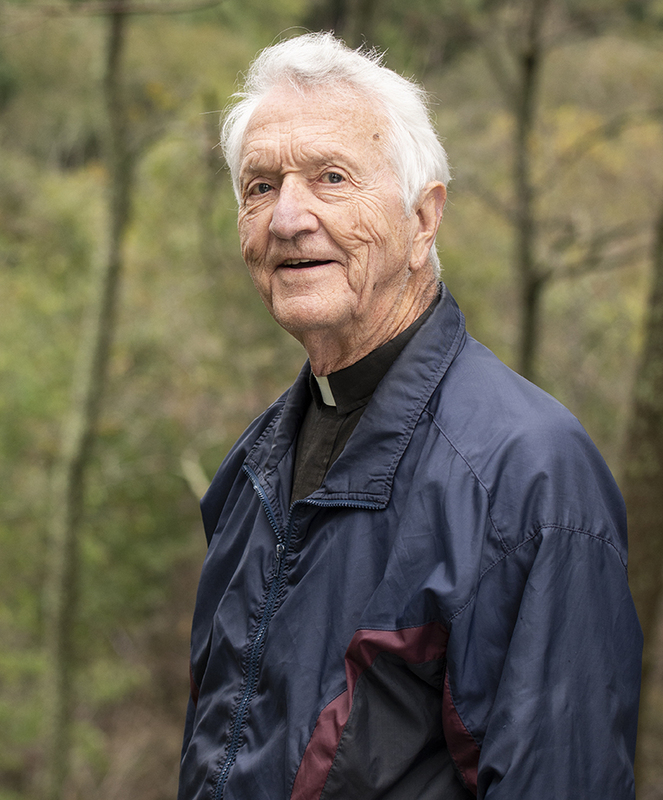 Since he was ordained in 1961, Father Les has worked in the mission office and as a regional worker in Appalachia, where he advocates for social justice, racial equality and adequate living conditions for his areas. He travels 1,000 miles a week, meeting with bishops, coal miners, poultry workers, government officials or parishioners. He won this Bishop Sullivan Award in 2002 for his work helping children, youth and families. 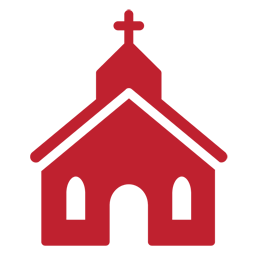 The award, given by Catholic Charities USA, honors priests, bishops and coworkers who have made an outstanding commitment to children and families. Much of Father Les’ work has improved the lives and living conditions for poor and marginalized children and families in Appalachia. He could probably say the same thing about his call to the priesthood. Father Les Schmidt in 2018. Father Les Schmidt worked as an associate pastor in 1964 in Gate City, Va.